Sirtuins are enzymes that regulate important biological pathways. There are seven known sirtuins in humans (SIRT1 to SIRT7). They possess either deacetylase, mono-ADP-ribosyltransferase, desuccinylase or other similar activities. Sirtuins are present in practically all organisms, including bacteria. They are of great interest to researchers and the public due to their roles in regulating aging, circadian rhythms, inflammation, stress resistance, and mitochondrial functions. Image source: Nat Rev Drug Discov. 2008 Oct;7(10):841-53. doi: 10.1038/nrd2665. As mentioned above, there are seven sirtuins in humans. SIRT1, 2, 3, 6, and 7 are found in the nucleus of the cell. SIRT1 and 2 are also found in the cytoplasm, SIRT3 in the mitochondria, and SIRT4 and 5 are confined to the mitochondria. 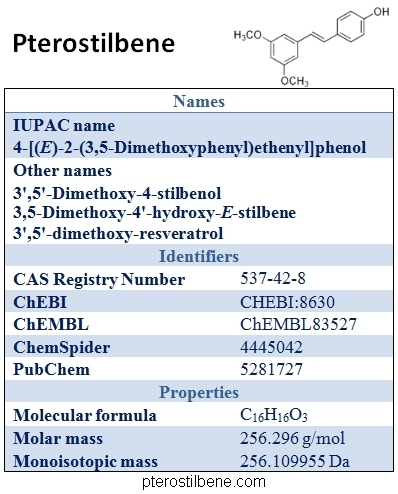 SIRT1, 2, and 3 all have deacetylase activities. Unlike most deacetylases, the sirtuins couple deacetylase activity to nicotinamide adenine dinucleotide coenzyme (NAD) hydrolysis. This reaction yields nicotinamide, which acts to inhibit the activity of sirtuins. Because of this link, sirtuin activity is directly regulated by the energy status of the cell as reflected by the relative amounts of NAD+, NADH, and nicotinamide. Studies on caloric restriction have revealed that energy intake and processing are strongly linked to aging. Organisms as diverse as nematodes and mice can have their lives significantly prolonged by simply restricting calorie intake. Although throughout history organisms have often been subjected to restrictions in calorie intake, nutritional deficiencies in naturally restricted diets tend to cause diseases and death before any benefit of starvation is revealed. However, in the 1930s, laboratory studies of good-quality diets that were simply calorie-restricted revealed the link between energy intake and longevity. The direct link between calorie restriction and longevity is still somewhat of a mystery, but it is becoming clear that the sirtuins play an important role. Calorie restriction along with a nutritionally adequate diet has many profound effects on the body- it reduces metabolic rate, it improves responses to insulin, and it reduces inflammation and oxidative stress. The sirtuins may play important regulatory roles in all of these responses to calorie intake. SIRT1 is thought to play many roles in aging and in diseases related to aging, such as Alzheimer’s disease, cancer, and type II diabetes. Pterostilbene, like the other polyphenol Resveratrol, is thought to activate SIRT1 and may be able to extend lifespan and provide protection against diseases of aging. Studies of siRNA knockdown mice suggest that SIRT1 is involved in regulating the expression of at least 200 different genes that affect all parts of the body. It reduces inflammation, can help prevent neurodegeneration, is involved in insulin regulation, affects all aspects of metabolism, and may be able to protect against cancer and cardiovascular disease. 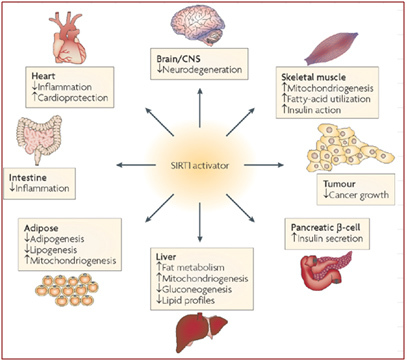 These results suggest that activating SIRT1 may provide an overall health benefit against most of the major diseases of modern humans by fundamentally altering the expression pattern of the genes. In the cell nucleus, SIRT1 seems to regulate gene expression primarily through epigenetic mechanisms. Its deacetylase activity alters the function of histones, which in turn alter the expression pattern of other genes. The term “epigenetics” simply refers to alterations of genetic function due to changes in expression patterns rather than through actual mutation of the genetic material. SIRT1 deacetylates DNA methyltransferase (DNMT1), which plays an important role in maintaining CpG methylation. CpG methylation of promoter regions turns whole patterns of genes off, and SIRT1 directly enhances the activity of DNMT1. Genes are also globally turned off by wrapping them tightly around histones to form heterochromatin. SIRT1 deacetylates histones, preventing them from forming heterochromatin. When there is a deficiency of NADH and an increase in NAD+ (as happens during calorie restriction), SIRT1 is activated, the genes remain in the euchromatin state and are expressed. Therefore, SIRT1 can regulate the expression levels of vast numbers of genes in response to the cell’s energy state through relatively simple mechanisms. Cellular senescence is essentially “old age” on a cellular level. The somatic cells of most organisms eventually undergo senescence and cease to divide. In humans, progressive senescence of stem cell populations over time seems to play a major role in aging. Senescence of injured or unneeded cells, such as after injuries, excessive cellular damage, or during embryogenesis, is an important biological function in normal, healthy life. Many cell populations are regularly produced, mature, and then undergo senescence and are discarded from the body, replaced by fresh, new cells. The skin and blood cells are prominent examples of organs that rely on senescence to maintain proper functioning throughout life. However, as organisms age, other types of cells gradually become senescent and cease to divide (Hayflick Limit). Many senescent cells undergo apoptosis. Gradual telomere shortening with each cellular division is a major trigger of senescence. If the telomeres shorten to a critical length, it activates pathways that detect DNA damage and can trigger cellular senescence. Any kind of extensive DNA damage, such as from radiation or oxidation, can trigger senescence. The expression of three different proteins, p53, p16INK4a, and ARF, are all important for senescence. p16INK4a and ARF are actually transcribed from the same genetic sequence, but they code for different proteins. p16INK4a inhibits the cyclin-dependent kinases CDK4 and CDK6. ARF inactivates one of the proteins that degrades p53, thereby stabilizing it. In young cells, the p16INK4a/ARF locus is not expressed, but as cells age, production levels slowly increase. Interestingly, calorie restriction delays the increase in p16INK4a/ARF associated with age. SIRT1 acts to both inhibit the expression of p16INK4a/ARF and to repress its activity. Calorie restriction increases the expression of SIRT1, and the inhibitory action of SIRT1 on the pI6INK4a/ARF locus may play an important role in the link between calorie restriction and delayed senescence. 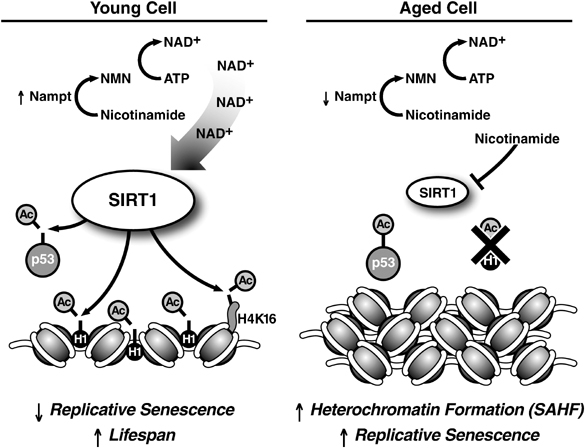 During senescence, SIRT1 is down-regulated. The chromatin forms into compacted heterochromatin, and altered patterns of CpG methylation (with global hypomethylation) occur relative to the younger state. SIRT1 also deacetylates p53, inactivating it and preventing it from forcing a cell into senescence. In summary, in young cells, there are high levels of SIRT1 protein and NAD+ (see left panel above). The active SIRT1 keeps the euchromatin open, deactivates p53, inhibits p16INK4a/ARF, and promotes normal CpG methylation patterns. As cells age, the activity of SIRT1 declines (right panel above). Chromatin clumps up into heterochromatin, p53 and p16INK4a/ARF become more active, and CpG methylation patterns begin to decline. If any kind of DNA damage occurs, the cell will be become senescent. Some people speculate that senescence is a useful, deliberately evolved mechanism intended to eliminate damaged cells that might otherwise turn into cancer cells, but old organisms has an accumulation of senescent cells while it is not in young. Deregulation of p53 plays a major role in cancer. Normally, p53 acts as a sort of watchdog over the integrity of the genome and acts to kill off any cells that suffer DNA damage by inducing senescence and apoptosis. In order to become cancer cells, mutated cells have to evade this mechanism somehow in order to divide and become immortalized. The importance of p53 in cancer is demonstrated by the existence of Li-Fraumeni syndrome. In this syndrome, children inherit only one good copy of the p53 gene. Families carrying only one good copy of the p53 gene suffer a greatly increased rate of a number of different cancers, many of which develop at very young ages. If the individuals survive the first cancers they develop, they often go on to continue to develop additional cancers throughout life. As discussed above, SIRT1 acts to down-regulate p53. In some cancer cells, p53 itself becomes mutated. In other cancers, SIRT1 is over-expressed and may act to block p53’s function. Some researchers have speculated that inhibiting the activity of SIRT1 is a possible mechanism of treating certain cancers. An interesting, and somewhat puzzling, side-note is that calorie restriction is both effective in preventing some cancers and in slowing or blocking the growth of some cancers. However, calorie restriction would be expected to increase SIRT1 levels, which blocks p53’s genome watchdog activity. One piece of this puzzle may be SIRT1’s role in DNA repair. SIRT1 appears able to activate important double-stranded break DNA repair proteins. This interesting effect may help keep younger cells in good genetic condition for a much longer period of time. Inflammation plays an important role in the body in fighting off infections and healing acute injuries. However, chronic inflammation has been implicated as a major cause of cardiovascular disease, metabolic syndrome, diabetes, arthritis, and neurodegenerative diseases. Inflammation is mediated through insulin pathways (glucose) and free fatty acid pathways. Caloric restriction- in particular, glucose restriction- directly reduces inflammation by down-regulating these pathways.